Yes, the hurricanes and tropical storms keep coming. 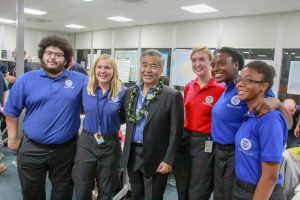 Although it’s easy to succumb to “hurricane fatigue,” the message from Governor Ige and emergency responders is “Stay vigilant. We have to keep working together.” In the face of multiple natural disasters, the state’s coordinated response has drawn widespread praise from the community, but don’t forget: Hurricane season lasts through November. This issue of Capitol Connection talks about lessons learned at the county, state and federal levels and what we can do to build more resilient communities — especially for the challenges of climate change. Gov. 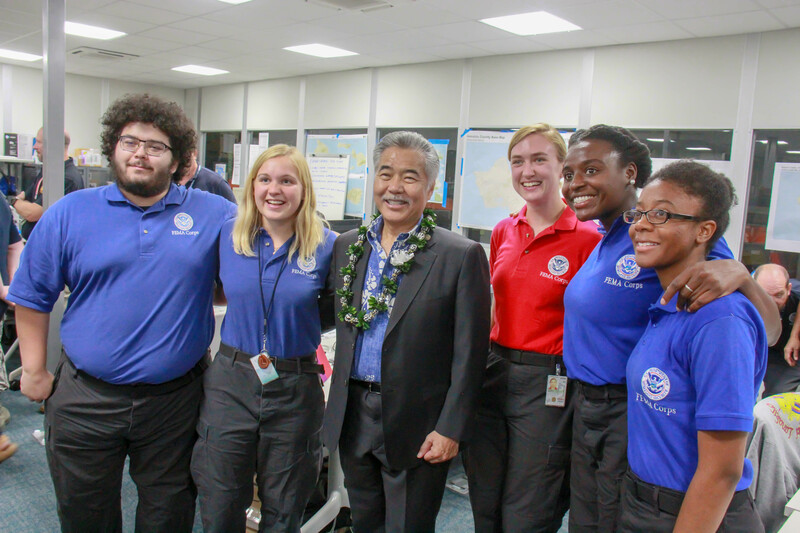 Ige thanks FEMA workers for helping the state in its disaster recovery. Q. What do you want people to know about the state’s readiness since we’re still in hurricane season? A. It’s definitely a team effort at all levels for us to prepare, keep people safe and restore life to normal as quickly as possible. Hurricane Lane and Tropical Storm Olivia showed county, state and federal workers were ready to respond to critical needs. We’re looking at ways to reach communities that could be isolated by flash floods and landslides, especially if harbors are shut down and aircraft are grounded. If an event shuts down a highway, we would have to find other, little-used access points to get people in and out. Since the April floods and the Kīlauea eruption, the Federal Emergency Management Agency (FEMA) has been very supportive in prepositioning supplies — food, water, medical supplies, emergency generators — in every county. They recognize that Hawai‘i’s isolation means we don’t have multiple ways of getting things to the islands. My requests for presidential disaster declarations have given us access to federal resources, and a joint task force ensured the National Guard and active duty military could work together on all the islands. Q. Why was it important to have both government and private sector partners at the hurricane press conferences? A. Often when we’re preparing to respond to a natural disaster, the public doesn’t see how many people from all sectors are involved. I thought it was important for the community to hear directly from the utilities, shippers, airlines, emergency healthcare, the Hawai‘i Tourism Authority as well as the National Weather Service, FEMA and the military. We thought we should let the public see and hear from the people actually doing the work and developing contingency plans. Q. What more can families and communities do to be prepared? Q. Why was your participation in the recent Global Climate Action Summit so important? A. The summit was the latest effort of the U.S. Climate Alliance, a bipartisan coalition of 17 governors like myself who recognize that climate change is real. I described our challenges dealing with hurricanes and sea level rise and Hawai‘i’s leadership in slowing down global warming. We want to be part of a bigger national market where businesses are looking for “clean” carbon credit projects to support our state’s Sustainable Hawai‘i Initiative and have committed to taking action to protect our planet.